He has nearly two million fans and a book deal. 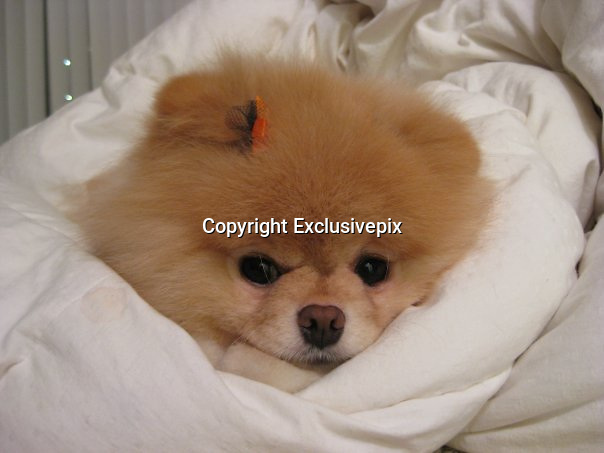 But Boo isn't a reality TV star, actor or a pop singer - he's a pet dog. The five-year-old Pomeranian has the fame most celebrities dream of after amassing 1.79million fans on social networking site Facebook. His owner, who has concealed her identity and location in the U.S. and uses the pseudonym J.H Lee told Time:'My friends loved looking at pictures of him. Boo shot to fame when he realised the key to looking so good in photographs is a great haircut. The canine's unique look is down to an happy accident - his long hair was so knotted, it had to be shaved off. Lee said: 'The groomer said they wouldn't even be able to get a brush through him.